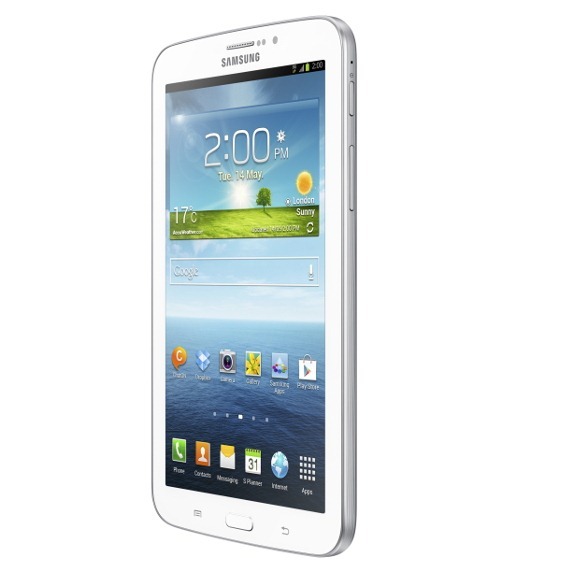 The Galaxy Tab 3 7.0 inch was finally released for the Indian market earlier today, i.e, July 18th. The tablet was released in a few markets a few months ago, and like many other devices, the launch in India took a few months, which is quite understandable given the hostile market in the country. The name suggests the display size, which will be 7 inches across the diagonal. This upcoming device is also the successor to the previously released Galaxy Tab 2, which did remarkably well in the market thanks to the availability of 3G and calling features on the device. Let’s go ahead with the quick review of this upcoming device, and let our readers know of what’s good and what’s not! The device goes easy on cameras. So much so that most people won’t even feel it’s an upgrade from the Tab 2 7.0 inch. The device carries a 3.15MP rear camera which is assisted by autofocus, and can take pictures of resolutions up to 2048×1536 pixels. Apart from autofocus, the shooter on this device is geared with other usual features like geo-tagging, etc. We would like to add that the device might not be the best as far as photography is concerned, so keeping a smartphone with a better camera with you could come in handy. The camera can do 720p video with a frame rate of 30fps. The front camera on this upcoming tablet is a 1.3MP unit which could’ve been better, but since most of us hardly use the front camera, this little shortcoming can pretty much be overlooked. The device comes in two internal memory options, which are the 8GB and 16GB models. Both of these have a microSD slot which can work with a maximum size of 64GB. Speaking of the processor, the Galaxy Tab 3 gets a minor update from the dual core 1GHz previously seen on the Tab 2 P3100. This device now comes with a dual core processor clocked at a slightly higher frequency of 1.2GHz. Just like most of you, we are disappointed with the sort of upgrade the device gets. It’s H2 of 2013, and we expected a quad core processor at least, and given the recent trends, the sales of this new tablet might suffer due to this lack in processing power. The dual core processor will be seen coupled with 1GB of RAM, which should pretty much suffice for most users. The device packs the same 4000mAh battery which we saw in the previous iteration of this tablet. A 4000mAh unit on a 7 inch screen does do justice, and you can expect the tablet to give you a decent amount of battery backup provided that you don’t push the tablet to it’s extreme for long durations. The device features the same 7 inch display as seen on the Tab 2 P3100, with the same resolution, i.e., 1024×600 pixels. This brings the PPI to a rather 2011-esque 170, which means the device is not meant for multimedia/gaming freaks. However, the Tab 3 sheds the PLS LCD technology used on the Tab 2 and features a standard TFT screen. In an age where retina screens are fast becoming the standard, the 600p screen might prove to be a deal-breaker for many a buyer, especially with domestic manufacturers offering similar hardware at a much lesser price point. Among other features, the device comes with Samsung’s TouchWiz UI, known to make UI easier for users. There are innumerable competitors to this device from Samsung, most of them being from domestic manufacturers. Just to name a few of those; Simmtronics XPADX-722, iBall Slide 7334i, etc. These are just two examples out of virtually tens of devices which can rival this upcoming tablet from Samsung. The specifications of the device are quite average, and we don’t think that they’re good enough to attract many buyers. However, Samsung can still claim a fair share of the market by being aggressive on the pricing. 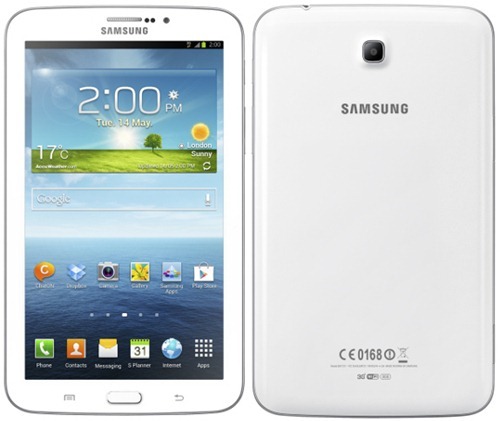 The pricing is almost 3 thousand more than what Galaxy Tab 2 will cost you, but you wont get significantly upgraded hardware. This device shows improvement only in processor specifications where the clock frequency has been increased to 1.2 GHz from 1 GHz.